Planning a trip to Canada or want to learn about its people, places, facts, cuisine, art, history and its top languages? 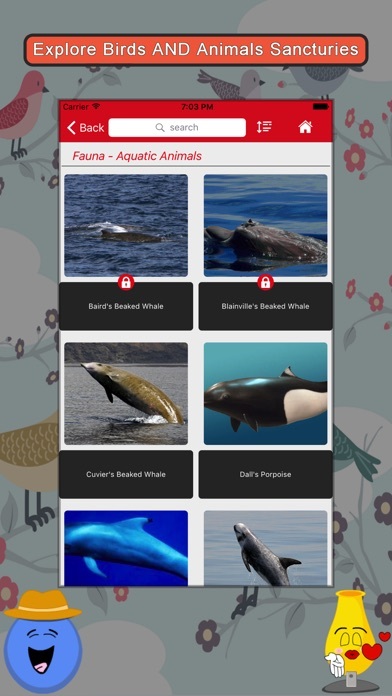 Explore Canada SMART Guide is a travel app to explore beautiful place, Canada. 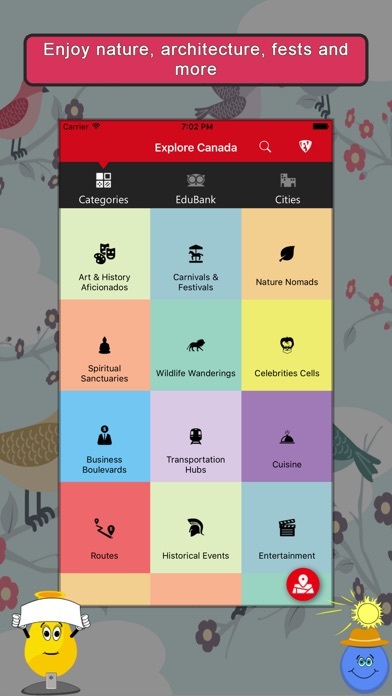 Get more than 25,000 elements of Canada to experience under many broad categories. Canada Travel Guide is sure a SMART way to travel. 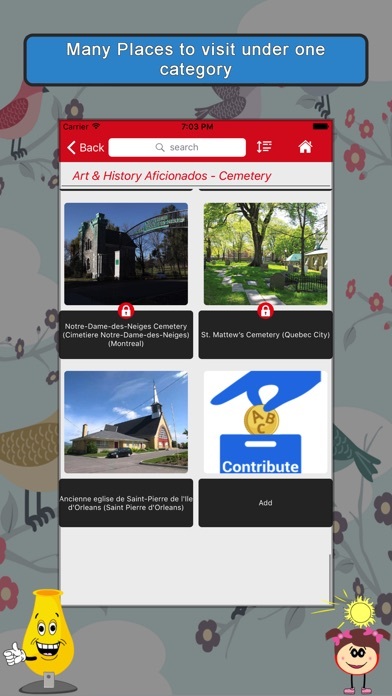 Plan a trip to your favorite places like Fort Wellington, CFB Petawawa Military Museum, Gillies Grove and House National Historic Site, The Mackie Lake House (Coldstream), Parc Regional des Iles-de-Saint-Timothee, Island Park, The Beaver Boardwalk, Elevation Church, La Vallee Secrete, Fort Dauphin Museum and more, effortlessly. 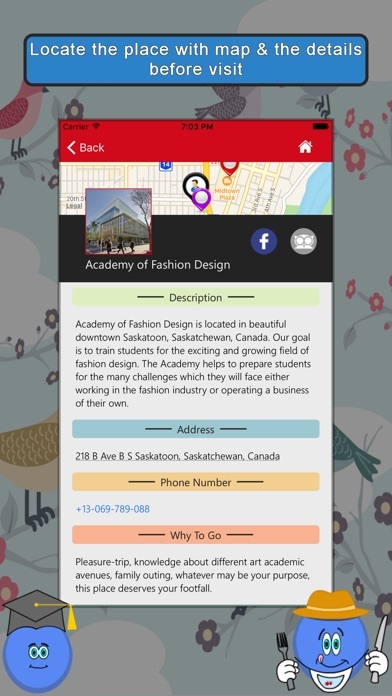 Canada Country Guide works offline to help you better! Apart from this, it tells you Why, When and How to visit various places in Canada with precise location on the detailed Map. Pin your destinations and get the routes on the Map. Not only this, you can see exactly how the place looks like with Street View integrated in this app. Canada Travel Guide is divided into the following categories:- Art & History Aficionados Carnivals & Festivals Nature Nomads Spiritual Sanctuaries Wildlife Wanderings Celebrities Cells Business Boulevards Transportation Hubs Cuisine Routes Historical Events Entertainment Flora Fauna Sports Geo & Socio Outlook What's News Lingo Sense Facts Educational Excellence Main Features:- * Routes not only take you to the destinations but show other fascinating places * Airways, Roadways, Railways and Waterways information for a trouble free travel * Have a close look at the Wildlife Wanderings * Not only taste but learn to cook delicacies * Communicate in the country from your own Language! * Get live news * Separate section for main Attractions! Explore Canada SMART Guide is all that you need to Explore Canada. The virtual trip is so mesmerizing that you will go for the real one! ** Full features and content under these categories require additional InApp purchases as mentioned below:- 1. BePro-Full Volume:- This purchase unlocks all the content in each category and also makes the app ads free. 2. 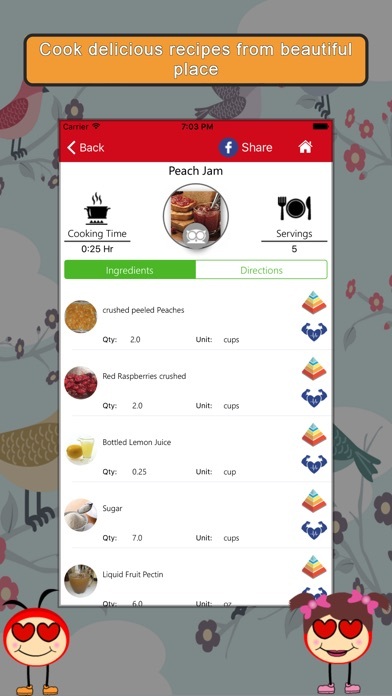 BePro-Recipe:- This purchase unlocks premium recipes in Cuisine category. 3. BePro-Languages:- This purchase unlocks premium content and unlimited switching of languages in Lingo Sense category. 4. BePro-Places:- This purchase unlocks premium places in Art & History Aficionados, Carnivals & Festivals, Nature Nomads, Spiritual Sanctuaries, Wildlife Wanderings, Business Boulevards, Transportation Hubs, Sports and Educational Excellence Categories. 5.BePro-Ad Free:- This purchase makes the app Ads free.